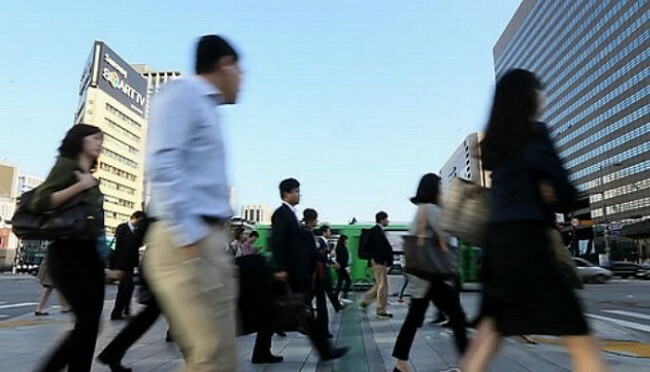 The number of temporary workers in South Korea rose slightly this year from a year earlier, with the percentage of such employment also rising, government data showed Tuesday. A total of 6.61 million workers were non-regular workers, part-timers or outsourced laborers as of August 2018, up 36,000 from a year ago, according to the data from Statistics Korea. They accounted for 33 percent of the country’s 20.04 million salaried employees. The 2018 data also showed that of the non-regular workers, 2.93 million were men, accounting for 44.4 percent, while 3.67 million were women. Some 47 percent of the non-regular workers were in their 50s and 60s, the data showed.